ProLine has experience providing custom radiant heat solutions for a wide range of industrial snow melting applications. 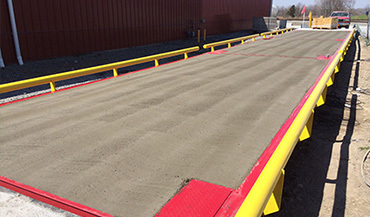 From loading docks to ramps and facility access points, ProLine can design and engineer the best snow melting system for your industrial needs. ProLine solutions include professional system design and installation support, as well as and the industry's top heat cable. Available in mats or on spools, the cable can be installed in hot asphalt as well as in concrete and other applications. ProLine clients include the U.S. government, FedEx, international airports, oil refineries, departments of transportation, etc. 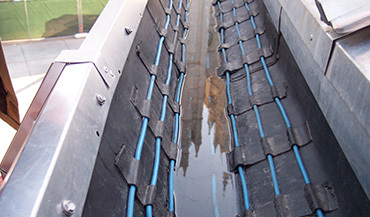 ProLine's self-regulating heat cable has proven to be the ideal solution for heating roof edges, drainage gutters and pipes of large industrial facilities. The heating cable is extremely effective and energy efficient. The UL listed roof heating cable features a rugged outer construction and an irradiated conductive core that increases the heat output as the outside temperature falls and decreases the heat output as the temperature rises. The superior outer jacket and unique construction allows the cable to be safely installed at colder temperatures. ProLine pipe tracing and roof deicing cable durable, safe, energy efficient. 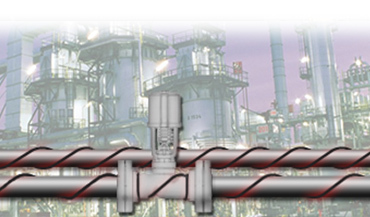 ProLine Radiant pipe trace solutions are used for both pipe freeze protection and process temperature maintenance. The self-regulating heat cable is an industry leader because of its superior performance and durability. The outer jacket of the heating cable offers greater flexibility in cold temperatures (for easier installation) and gives the cable a tighter bend radius without separating from the high quality carbon core, which is also more resilient in low temperatures. ProLine cable is UL recognized under the Appliance Wire Classification (file E 76498) and meets the requirements of the NEC (National Electric Code) Section 426.